As water quality tends to be a concern, more people turn to cover pitchers and faucet style filters to make sure their tap water is as healthy as it should be. According to a 2015 study performed by the U.S. Environmental Protection Agency, nearly 6 percent of Americans are getting water from systems that violate health standards. One of the most utilized filtration pitchers is the PUR faucet adapter. 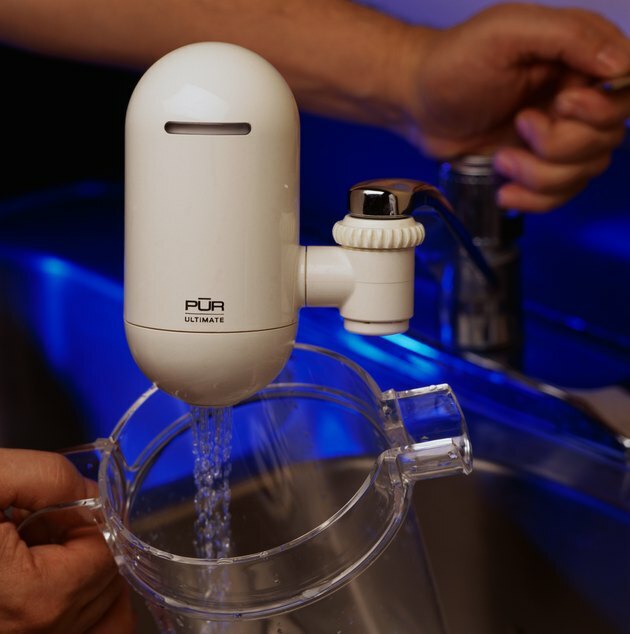 With one of the largest water filtering dispensers on the market, with its 18-cup filter, the PUR pitcher filter claims to be able to remove 99 percent of lead and 95 percent of mercury from water. Apart from absorbing pharmaceutical pollutants and other organic compounds, the PUR filter helps reduce chlorine and odor by using coconut-based activated carbon. The lifespan of a PUR filter is approximately two months, during which it is responsible for filtering about 40 gallons of water. The filters and dispensers are recyclable while being able to remove approximately one-third of all dissolved solids. The brand also offers ion-exchange granules that are used to demineralize water and purify it. The most important reason to replace your PUR filter is to prevent residues from collecting as you continue to add water. This will ensure that your water is clean and suitable for drinking. Otherwise, lead and other residues can collect in the filter and prevent it from performing at 100 percent capacity. To remove the PUR filter from your pitcher, take off the old filter and replace it with the new one and make sure you soak it in cold water for 15 minutes. Remove the filter once more and leave it to dry on a paper towel, then proceed to cover it with water thoroughly. When you need a PUR water filter replacement, make sure you pay attention to the LED light found on the lid. When the green light is on, the PUR pitcher shows it's working and can be used to clean the water. A yellow light indicates you should change the filter as soon as possible to avoid drinking contaminated tap water. Finally, if the led light turns red, make sure you change the filter immediately. To replace the PUR filter from your faucet, unscrew the bottom cap to remove the old filter and push the new product until you hear a very slight click. Let the water run for five minutes and proceed to use your PUR filter at its full capacity. How Often Do You Really Need to Replace a Brita Pitcher Filter?